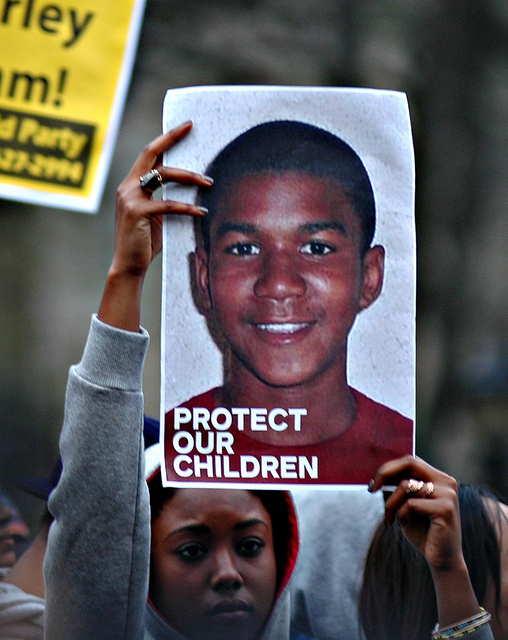 Trayvon Martin, Sybrina Fulton’s son, would have turned 19 years old today. More here….. I was inspired to write this post after reading the first article in the fascinating series, “Unsung Black Women in History“, on Clutch Magazine. I wrote in the comments that it’s important that our kids understand that black history is filled with every day heroines and heroes who not only persevered but triumphed despite the burden of being black during slavery and post-Emancipation. Albert and Margaret Robinson were two such heroes. I swear that reading about the Robinsons will make you sit up a little taller. They were both former slaves who had separately moved to California where they met and later got married. Albert and Margaret were living in Julian after another black man, Frederick Coleman, had found gold in a creek near the town which started a gold rush in the tiny town. Another pioneer, Albert Robinson, originally came to California as a slave. Robinson won his freedom and moved to Julian around 1880. With his wife Margret, he opened the Robinson Restaurant and Bakery. Margret’s reputation for good cooking and hospitality brought in so many customers that Albert soon added rooms to the restaurant. The new Robinson Hotel became very popular during the Julian boom times and beyond. The Robinson’s owned and operated the hotel for 28 years. The Robinson Hotel, (presently known as the Julian Gold Rush Hotel ) has been in operation for over a hundred years and is the “oldest continuously operated hotel in southern California” according to the National Register of Historic Places . More here…..
Fitting beautifully into the new Victorian society, the Hotel’s register confirms it was a frequent stopping place of Lady Bronston, the Scripps, and the Whitneys. The register even boasts the presence of many a senator and congressman. Popular also with the townsfolk, the Hotel, located opposite of the town hall and stage station, became a social center in Julian which at that time boasted of two stage lines to San Diego, a toll road connecting Julian to the Butterfield Stage Route, six hotels, four general stores, and a dozen or more saloons. The Julian Inn was especially a hub-bub of activity after the monthly town hall dance when Margaret Robinson would prepare a midnight feast that was anticipated with great excitement. The Robinson’s legacy continues to this day. I visited the hotel a few years ago and it is pretty amazing to be able to stand in a hotel that people who look like me built over 100 years ago. As much as I love the Love and Logic parenting technique, there are some things that I feel I need to tailor for my child. For instance, I find that their approach to lying doesn’t quite work for me right now. For one, my son is only five and I think rushing to punish the behavior prevents you from feeling true empathy because you are focused on behavior – the lie – not the underlying reason for the lie. If we are are being truly empathetic, then we should realize that children’s brains are not sufficiently mature enough for them to really understand the concept of lying. In fact, I don’t even think we should using the word lie to kids under six. I usually ask my son if he’s telling me what he wants to be true. Also, I find that my son hardly lies to me which I attribute to attachment parenting. According to Dr. Sears, one of the benefits of attachment parenting is that attached children do not become habitual liars because there isn’t a reason for them to do so. Securely attached kids tend feel very sure of themselves and know that their parents will still love them if they do something wrong. There are few things that leave parents angrier, or more worried, than when their kids act “truthfulness-challenged.” The good news about lying is that kids do it. What I mean is that all youngsters experiment with bending the truth, and it doesn’t necessarily mean that they’ll end up becoming con men, criminals or politicians. That is, as long as we can help them see that honesty really is the best policy. Help the child see lying as an index of maturity. In an empathetic way, let the child know that privileges will return when maturity goes up. Remember that parenting isn’t like a jury trial: There’s no need to prove guilt beyond a reasonable doubt. A child with soup and milk provided by the Surplus Commodities school lunch program. Forty kids at Uintah Elementary in Utah had their lunches ripped from their hands and thrown into the trash because their parents had owed money on their lunch accounts. The Salt Lake City school district apologized for taking away the children’s lunches but their ideas about how to fix the issue revolve around notifying parents and preventing the lunches from getting into the hands of the hungry kids in the first place. It’s a sad testimony to our educational system that the solution to this problem isn’t providing free lunches for all. Today is the official start of Black History Month so most of my posts over this next month will celebrate African American history while highlighting the role of black mothers in that history. Harriet, Mamie, Coretta, Rosa, and countless nameless, faceless mothers got us here. Many of these women didn’t make cotton gins or take a bullet nonetheless their contributions are just as important. One of the most important women in our history was the “othermother“. I had an “othermother”. You probably did as well. She was the one looked out for the kids while they played on the street or the one who always had an extra plate for a hungry child. Othermothers provided informal childcare for free and acted as pressure valves for black mothers in the Diaspora. But they were no ordinary caregivers. According to Patricia Hill, these women were super-mothers who doled out advice, food, and who later became activists because they knew firsthand the needs of the children in the community. Over the next 28 days let’s keep these women in our thoughts.